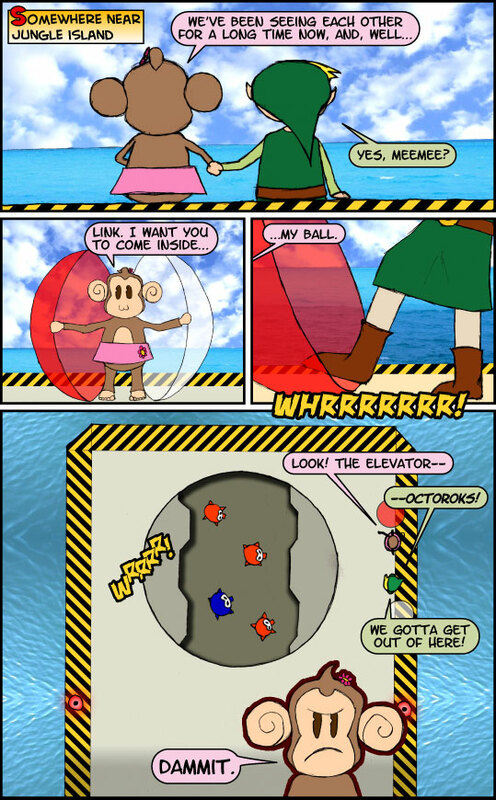 Link-Ups: The Link Team-Up Comic! 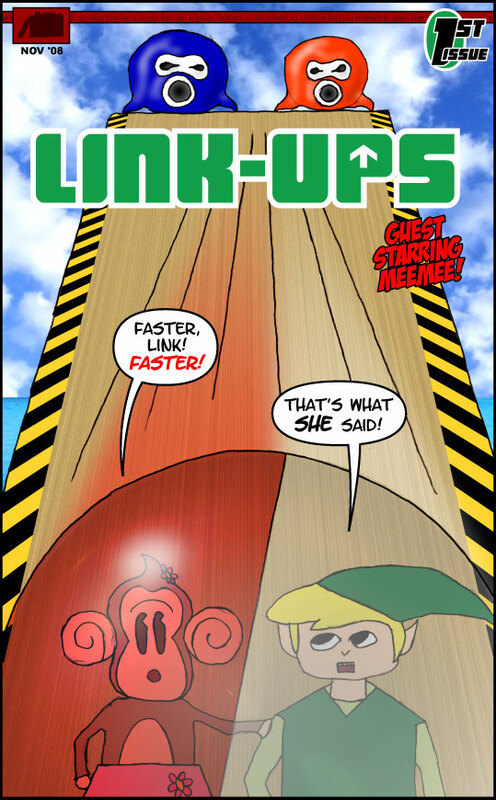 From comics-shattering superstar Kris L-B (SUPES ON, COMEDIX) comes LINK-UPS, a brand-new non-going series showcasing Link team-ups throughout his career! Described as “the most disturbing thing [Kris has] ever written” by Stert (A DAY IN THE DEATH), LINK-UPS is “Lost” with a “Wainy Days” twist! 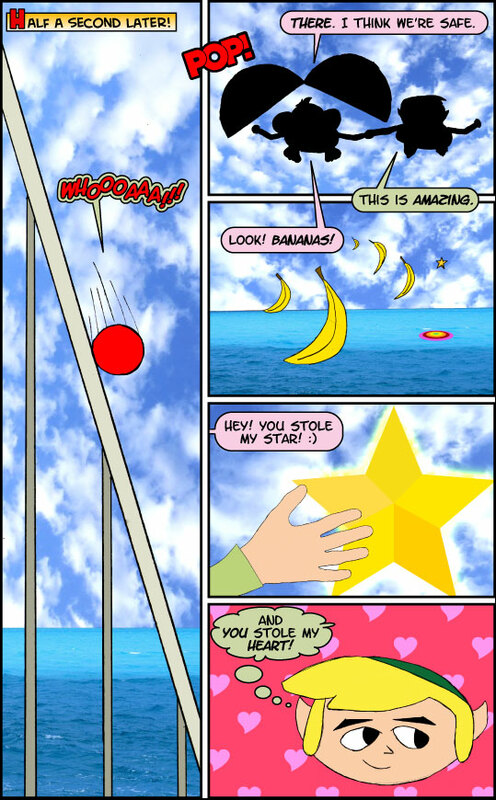 A date goes horribly wrong when Octoroks come crashing! 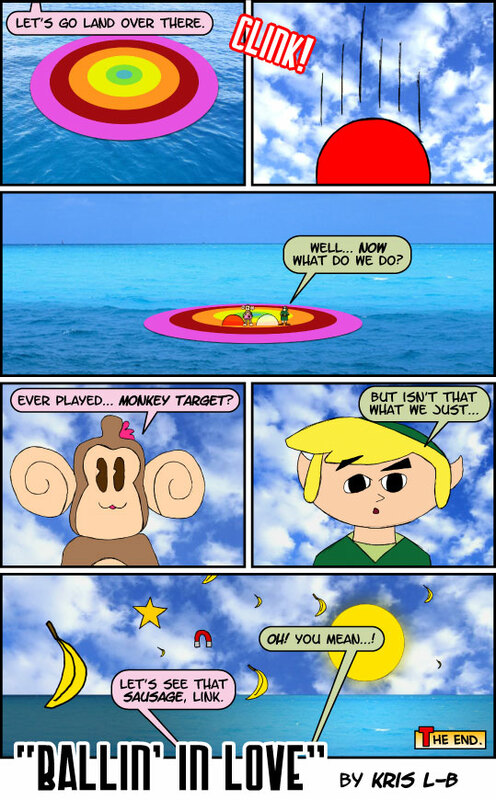 Can a child and a monkey from two different games make love work despite unbeatable odds? What happened to AiAi? And what will Zelda say? None of these questions and more will be answered in this fourish-page, fully-illustrated, totally unauthorized comics crossover event of the year! * Featuring MeeMee! Retailers please note: This issue will ship with 3 2/3 covers. For every 25 copies of the Standard Edition (the correctly printed cover), retailers may order one copy of the Reversed Variant Edition (printed backwards and unreadable). For every 250 copies of the Standard Edition, retailers may order one copy of the Green Variant Edition (printed without magenta ink) and 2/3 copy of the Printer Jam Variant Edition (ripped and crumpled). Please see the Previews Order Form for more information. * Last year. I made this for Internet as a birthday present in 2008, but forgot to put it up here. Issue #2 coming in ur buttholes!